The guys at Windows Phone Daily have found some images of what seems to be the WhatsApp for Windows Phone 8 in the WhatsApp servers itself. 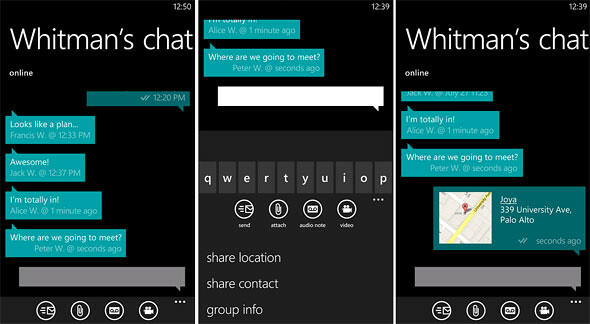 Nothing much was revealed in the images apart from the different sizes of the WhatsApp live tile on the homescreen. In the images above, the calendar shows “Mon, Nov 28, 10 AM”. Will this be the date and time the Windows Phone 8 is launched and announced? No one knows. There is not much difference in these images above. They look like the current version for Windows Phone 7.5. Let’s just wait and see if the team at WhatsApp will surprise everyone with a sleek and better looking app. 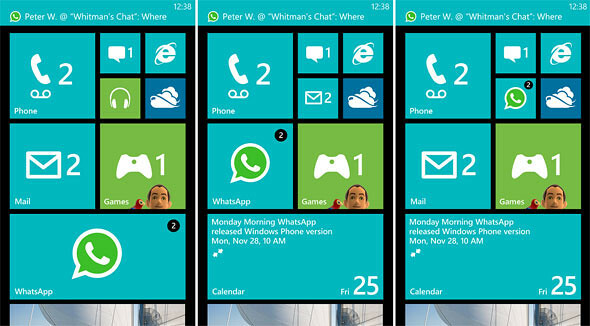 One Response to "[Leaked] Images Of WhatsApp For Windows Phone 8"
They’re just showing the unread message count even on the large tile. WTF.